Just three hours after the Galaxy S8 leaked in a short video, the device has appeared once again alongside the Galaxy S8 Plus. You can clearly see the size difference between these two devices, and decide which one you would want to buy as per your comfort. 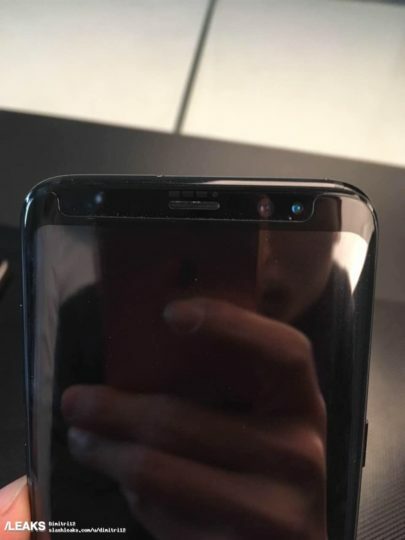 These images appear to come from a screen protector manufacturer, offering a clear look at both the devices. 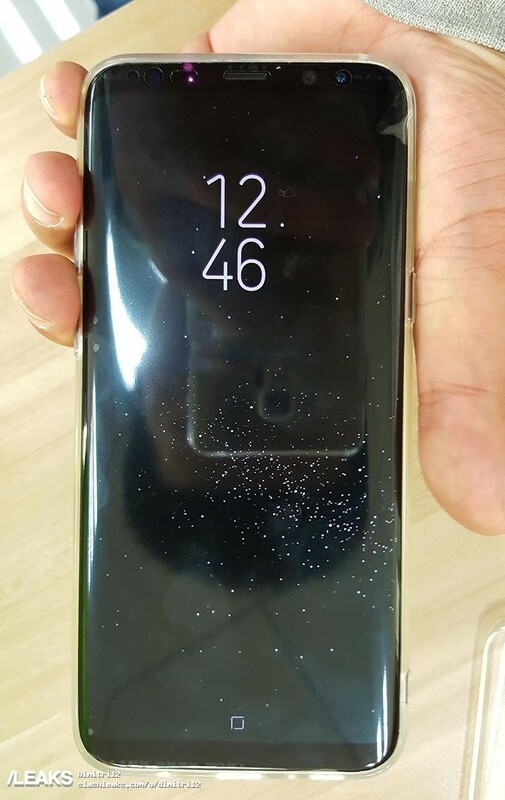 The Galaxy S8‘s screen comes with the Always-On Display feature and a persistent on-screen home button. Above the new bezel-less display, there are a bunch of sensors along with the front-facing camera and the iris scanner. 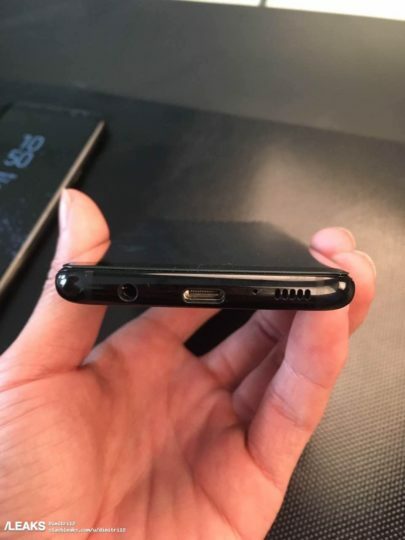 On the top, the phone has a SIM card tray and a secondary microphone. There’s a USB Type-C port, loudspeaker, and a 3.5mm headphone jack at the bottom. These images offer us the clearest look at the Galaxy S8 and the Galaxy S8 Plus to date. Which device would you opt for? Day one launch of the S8Plus I will be ready with bells on. 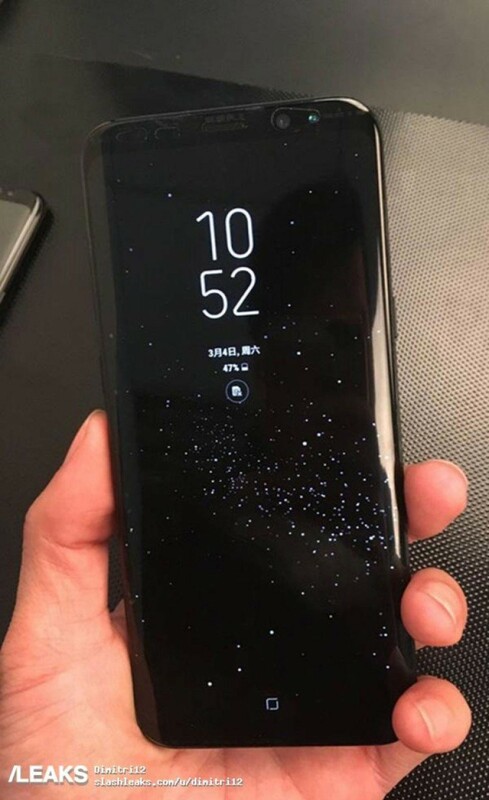 S8Plus in April…Note8 in September nothing but Samsung nothing else matters. 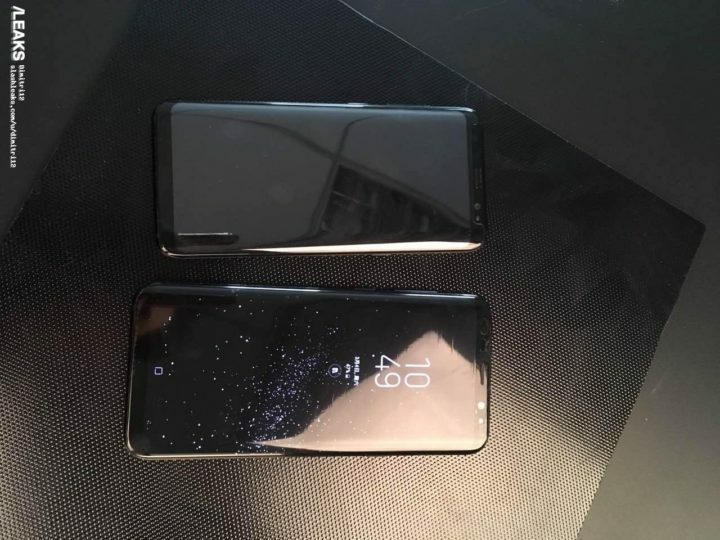 I don’t know the exact length of S8 but it seems it’s closer to 15 cm. I lost all interest because my current Sony z1 compact is about 12.7 cm and I would not get anything longer than 13. There’s clearly a market to fill for those of us that want premium phones in smaller sizes. I’m glad they have used black borders this time. If it’s the real deal, it does look way too tall. You’d have to stretch your finger to use the fingerprint sensor and HRM. I would choose the smaller one as it is more comfortable to use. I won’t opt for either. It’s the new note that I have my sights on. This phone will get android 8.0 update by may 2018, right after the release of galaxy s9. Lets get hyped for s9 already too!! Looking at it it seems maybe shorter width than the s7. They really do use some ugly screen protectors, lol. And what on earth is that salt like screen?! Am i the only one who think non plus varient is way too small ! 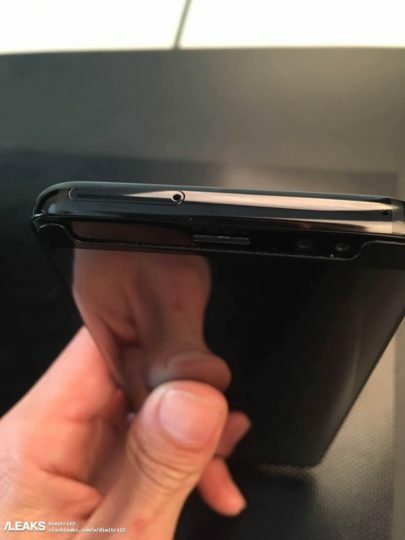 What about the amoled screen burn in of that home button…? easily avoided if they shift it by a few pixels every time the screen turns on.